NBC News, Steve Wozniak, Sarah Palin - all victims of social media hacks. It goes without saying that the ubiquity of social media apps is creating concern amongst enterprise infosec organizations. 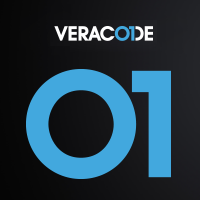 This Veracode infographic presents common social media hacks and explores how enterprises can mitigate the security concerns that stem from social media applications. Add this Infographic to Your Website for FREE! Barack Obama. Fox News. Britney Spears. Facebook. Dalai Lama. Lance Armstrong. What do all those people have in common? They’ve all had their Twitter accounts hacked. With social media more popular than it’s ever been, so are viruses, malware and scams. Social media users must be familiar with the basics of security to stay safe. Understanding how to be safe in the social networking environment means knowing the terms and issues users face. Dozens More: Flickr, Google, Blogger, YouTube, Digg, etc. Social media lives “in the cloud,” which is more difficult to protect than traditional networks. A system that evolves incrementally and gains momentum as is spreads. The more interconnected we get, the more opportunity malware has to pop up. The trending popular symbols, phrases and ideas. Social media is more than sharing information with friends and followers. It’s now ripe for viruses and attacks. So while social media is fun, there are risks. Core distribution of malware is through social media sites. Why is social media ripe for malware? Malware has a history of infecting Twitter and Facebook. But there are things users can do to minimize their risk. Users click and … ATTACK! What does this mean? Passwords are easily hacked! It’s a dangerous world in social networking. Take steps to protect yourself! You don’t have to avoid all forms of Social Media to be protected. But you do have to be aware of malware and scams. Educate employees as well on Social Media safety and best practices to reduce your company’s risk from costly losses and identity theft. Fergal Glynn joined Veracode in 2008. Fergal is currently responsible for lead generation activities including content marketing, blogging, search engine optimization, webinar marketing, social media, and optimizing the marketing and sales funnel. Fergal spent his first two years at Veracode as a Product Manager.